Blue Cloud Ventures is a software focused venture capital firm to address gaps in the growth stage funding market. Epic Capital Management Inc. is a boutique investment firm focused on Canadian small- and mid-cap securities. JOG Capital Corp. is a private equity firm focusing on Canadian junior exploration and production companies. Draper Fisher Jurvetson (DFJ) is a venture capital firm focuses on seed, venture and growth stage investments in enterprise, consumer, and disruptive technologies. Freestyle Capital is a venture capital firm focused on seed and early stage Internet software companies. Founded in 1996, Kensington Capital Partners is alternative assets manager. 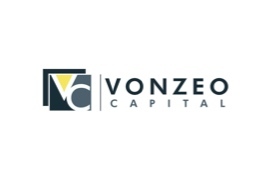 Kensington Capital Partners manages Kensington Venture Fund, a $306 million VCAP fund of funds and co-investment fund, it also the manager of BC Tech Fund on hehalf of BC Government, a $100 million fund of funds and co-investment fund. Cycle Capital invests in companies developing and commercializing clean technologies and striving to reduce greenhouse gas emissions, optimizing resource use, and improving process efficiency throughout a product’s life cycle. Simon Equity Partners is a private equity firm focused on making growth capital investments in the consumer space.